Tower Poker is a skin of the OnGame Network, one of the largest poker networks, but one that is sadly not open to US Players. This is a shame for Americans as they have an excellent buffet of bonuses. The best part is that each bonus clears at the same rate, 8 points per $1. 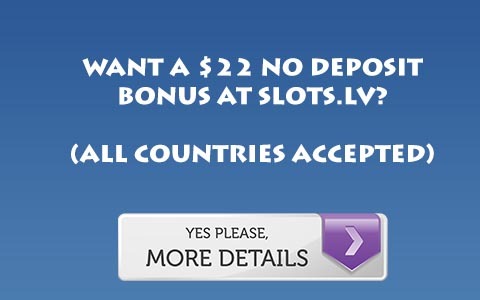 This, however does not mean that you can just deposit for the largest bonus no matter what your bankroll is. There are some subtle differences. The “Lobby” Bonus is a 200% up to $30 bonus that releases in $5 increments. The “Ground Floor” bonus is nearly the same, a 500% up to $75 bonus that releases in $5 increments. You can also go slightly larger with the “Getting Ahead” bonus which is 100% up to $200 bonus and also releases in $5 increments. So, of these bonuses you are best off using the Getting Ahead bonus as they all have the same points requirements, and release in the same increments. Each of these bonuses has a 60 day time limit which should be plenty of time to clear the bonus. The next bonus is the “Going Places” bonus and is 200% up to $500 and releases in $10 increments. This is one of the best options on Tower unless you are playing the micro stakes and $10 increments may be a problem. The next tier of bonuses gets into high roller territory. The other issue is there is a 30 day time limit on this bonus, so you have half of the time to clear it. The “Lift to the Top” bonus is 500% up to $1,000 and releases in $115 increments. So, if you play smaller stakes, do not be tempted by the chance to get twice as much money as the Going Places bonus. If you do not think you will be able to clear 5 of these increments you are better off with the smaller bonus. You have a 30 day time limit to clear this bonus. Finally we have the “Top Floor” bonus which is 500% up to $2,000. This releases in $350 increments. So unless you are sure you can unlock huge portions of this bonus, you are better off with a smaller bonus. But, remember each bonus only requires 8 points per dollar so you aren’t punished for taking a larger bonus in that respect. But, you only have 15, that’s FIFTEEN days to clear the bonus, so you are punished that way! 8 Points per $1 translates to 62.5% up to 100% rakeback on Tower Poker. You get 5 points per dollar of rake for tournament fees, and 1 Point per $1 of rake paid in cash games. This does not translate to 100% rakeback all of the time, as there is space between the tiers. For example, between $.2 and $.3 yields .2 points, so if you rake a quarter you are only getting .2 points. But, this is still an excellent clearing rate, one of the best on the internet. For more information, Visit Tower Poker.